We "Delta Separation" are Trusted Supplier of Alfa Laval, Mitsubishi, and Westfalia Centrifuge Oil Purifiers, Oil Separator, PHE (Plate Heat Exchanger), Heat Exchanger Plate Gaskets, Oil Water Separator, Fresh Water Generator We specializing in supply of original OEM & suitable replacement of Alfa Laval Separators, Mitsubishi Selfjectors (Oil Purifiers), GEA Westfalia Separators, Spares Parts & Complete Centrifuges/ Separators/Purifiers Various Types of Industrial & Marine Oil Separator Alfa Laval Heat Exchanger Plates after Market & Genuine Spare Parts. 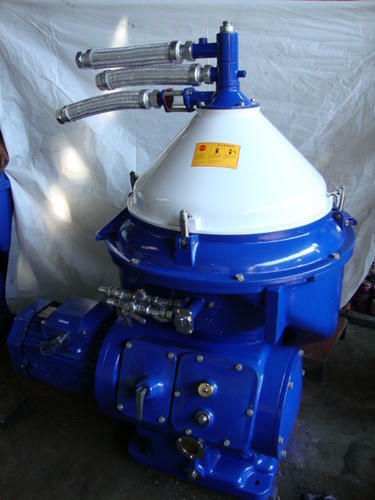 Established in the year of 2010, Delta Separation is the leading exporter, wholesaler and trader of Alfa Laval Separator, Industrial Separator, Digital Control Panel, Engine Crankshaft and much more. We offer these to our customers at market leading rates. Immensely acclaimed in the industry owing to their preciseness, these are presented by us in standard and modified forms to our clients. These presented by us in various provisions, these are inspected sternly to retain their optimum quality.